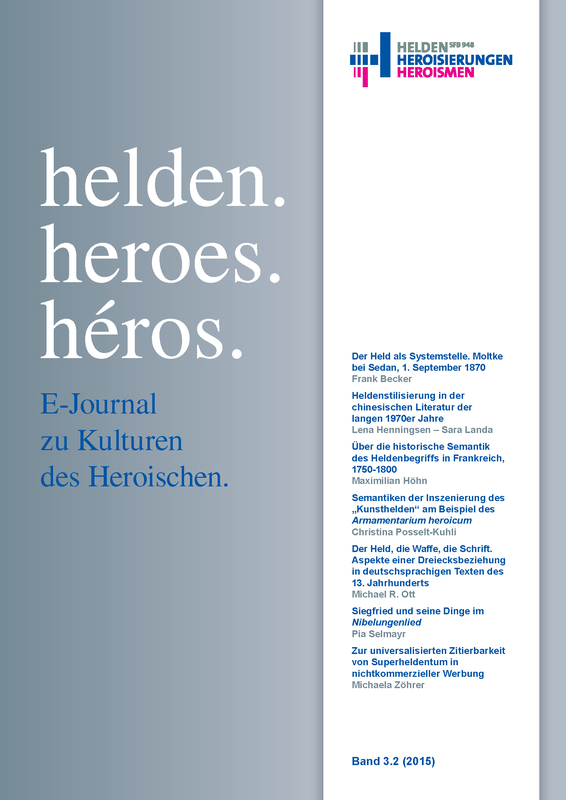 The aim of the e-journal helden. heroes. héros. 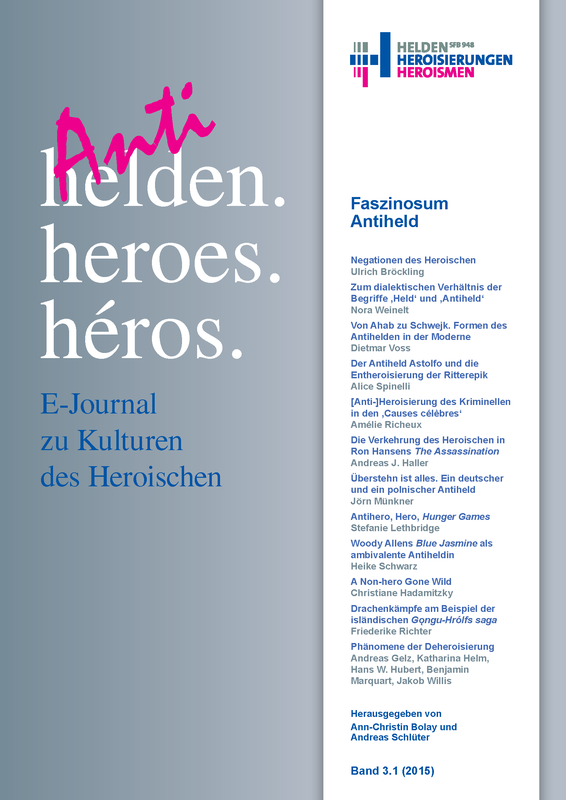 E-Journal zu Kulturen des Heroischen is to publicize the work of the SFB 948 and explore content related to its topic of focus. 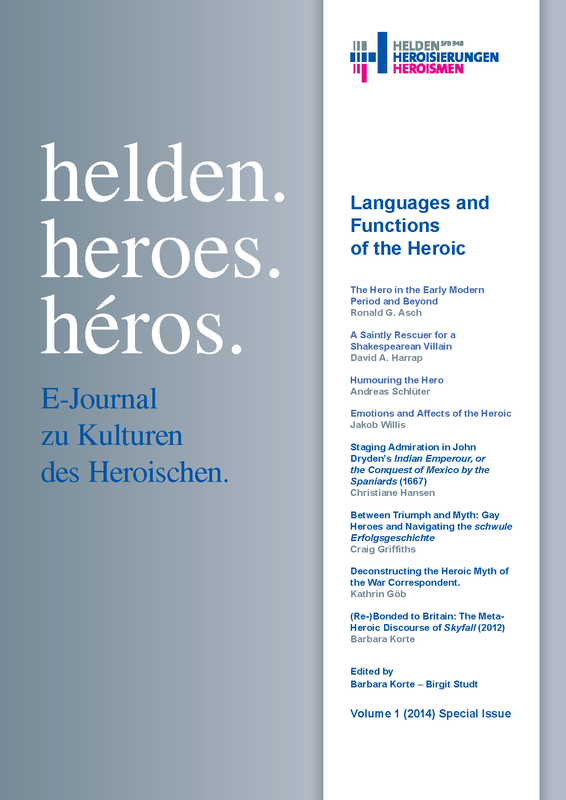 It allows for discussions on topics that pertain to the meaning of the heroic both in the past and the present, i.e., topics that are closely connected to the research fields of the SFB 948. 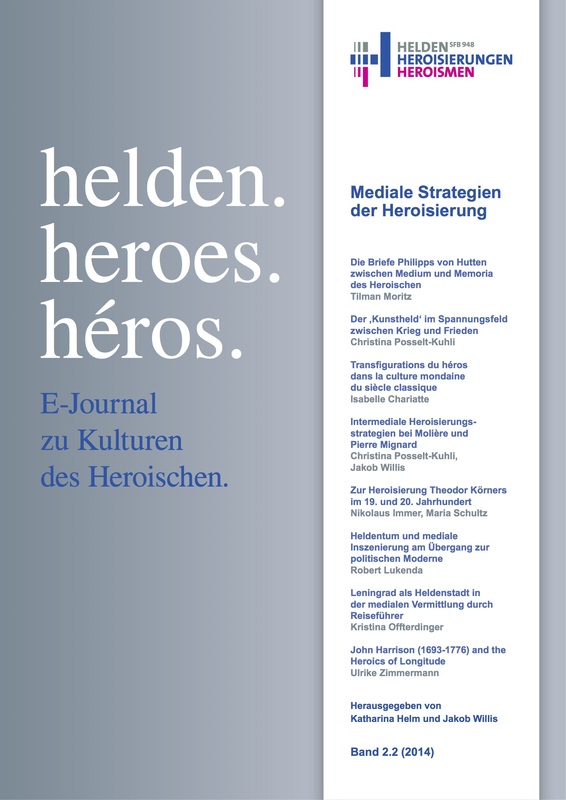 This e-journal constitutes an important means by which we meet the challenges that a scholarly perspective of the heroic presents: we regard it as an easily accessible forum accepting contributions not only from the SFB but also from elsewhere. 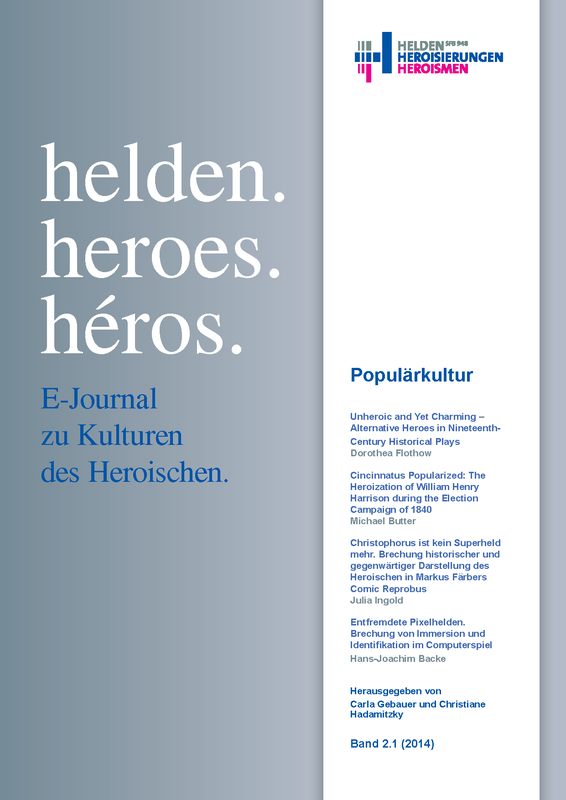 In this forum themes and concepts from different disciplines, cultures, media and eras can be compared and connections between them made discernible. 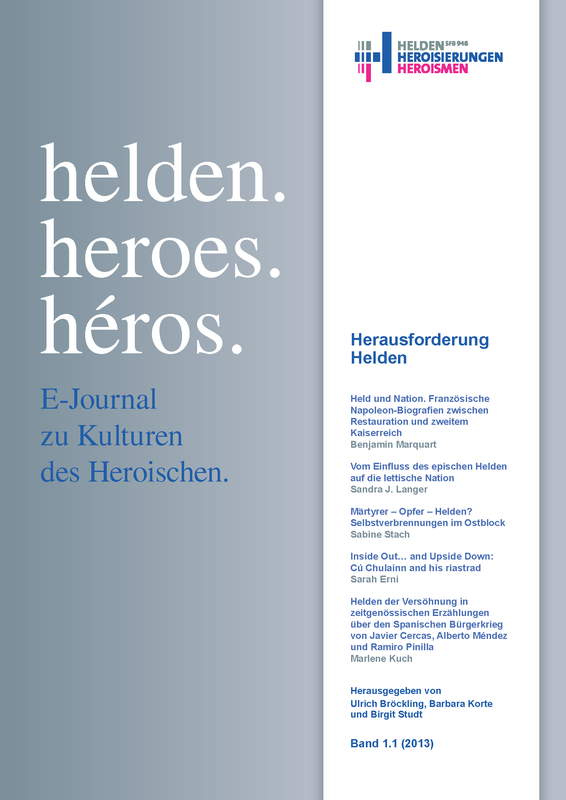 helden. heroes. héros. publishes primarily articles, literature reviews and reports arranged thematically. Contributions unrelated to these foci are also included. In addition, special thematic issues are published on occasion. To ensure a high quality of the contributions we publish, they are selected following an anonymous peer review process.